home of The Movie Mill and Value Village. This past Christmas was the first in more than 80 years without Zellers. Last year, a cloud of death hovered over the store, with a flurry of closing-out sales and announcements that everything must go. If you visited a store, it looked like a scene out of “Mutual of Omaha’s Wild Kingdom”, when angry hyenas pick clean the carcass of a zebra. But Zellers was still there. Not so this Christmas. 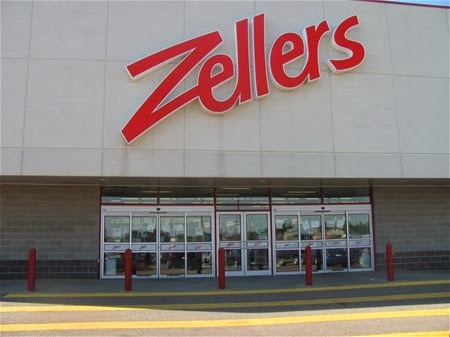 U.S.-based Target, which bought up the Zellers chain, began opening its own stores to replace Zellers in what it deemed to be profitable centres. Lethbridge wasn’t one of the lucky spots. Instead, there was ghostly silence where yet another retail fixture in the community went into that good night – following in the same path as Woodward’s, Woolco, Woolworth’s, and Eaton’s. Those were all part of the route of stores we frequented when we made our weekly trek Saturday mornings to go shopping in the city. Zellers was not part of that route, located in a place off our very narrow beaten path. Yet, every so often we ventured down Mayor Magrath Drive and checked out what Zellers had to offer. Even if we were not regulars, there was something comforting in knowing there was another store – a Canadian one – to visit if we needed something the other stores just may not have had. Now, yet another option has disappeared, and without any fanfare. Just like those other stores. Before "Glee" there was "Rags to Riches"